Tasracing was established under legislation introduced into Tasmanian State Parliament in November 2008. After a business as usual approach for the first six months, on 1 July 2009 Tasracing Pty Ltd, trading as Tasracing, became a state-owned company in its own right. It operates under a constitution and must abide by Australian Corporations Law. 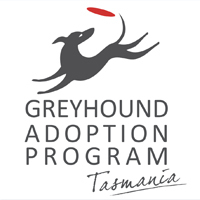 The company has two members, the Treasurer and the Minister for Racing, who hold shares in the company in trust for the people of Tasmania. Tasracing provides the strategic direction and funding required to produce quality racing products that meet customer demands in a globally competitive industry. Tasracing is responsible for the development of racing and breeding, the funding of clubs as well as providing stakes, media rights and managing racing venues. Tasracing provides a commercially viable future for racing in Tasmania by promoting and distributing data on racing form, track conditions and by assisting racing clubs to promote their racing events and carnivals. More information on Tasracing’s responsibilities. Tasracing is proud of the innovation applied to the operation of the company for the benefit of the industry. The introduction of Stridemaster GPS technology to assist customers with thoroughbred performance analysis, the first of its type in the world. The development of global export markets for Tasmania’s racing product, including the development of the French export market leading to Tasmania becoming Australia’s largest exporter of racing to the lucrative French market. An early adopter of synthetic racing surface for use at one of Tasmania’s key racing venues in order to deliver consistent, quality racing during Tasmania’s wet winter. Continual innovation in race track maintenance practices, extracting track performance far exceeding that normally expected within the racing industry. A strong focus on the wagering customer, with all product development and promotion focused on adding value to the customer’s interaction with Tasmanian racing. 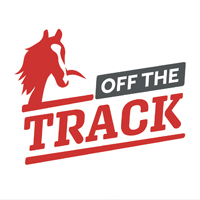 Office of Racing Integrity (ORI) is a separate entity to Tasracing and is responsible for maintaining the probity and integrity of the thoroughbred, harness and greyhound racing codes in Tasmania. ORI is a division of the Tasmanian Department of Primary Industries, Parks, Water & Environment. ensuring that the rules of racing for all codes of racing are properly enforced by Stewards. Find out more about Office of Racing Integrity at their WEBSITE.